Does your employer provide retiree medical coverage when you retire? Chances are, if you're not retired yet, the answer is no. The following graph shows the decline in the offering of this valuable benefit over the last couple of decades. By 2013, less than half of large employers have continued to offer retiree medical coverage to any of its retirees. Less than a third offered coverage to Medicare-eligible retirees when they retire. The good news, reading between the lines, is that these statistics show whether or not those working at the time will have retiree benefits when they retire. Many of the employers who offered coverage in the past but do not offer it today, did not take away the benefit to those who retired with medical coverage and sometimes those who were close to retirement. However, the benefit is still somewhat tenuous, even for those current retirees with coverage. Many employers are feeling financial pressures in today's economy to find costs in their business that can be reduced. Oftentimes, employee benefit costs are targeted despite the fact that they are a very tax effective way to provide compensation to employees. Note that in 2013, 45 percent of employers offered coverage to early retirees while only 30 percent offered coverage to retirees eligible for Medicare. The primary reason for this difference is that Medicare-eligible retirees have access to guaranteed medical coverage with a combination of Medicare and other private supplemental coverage. Until the Affordable Care Act (ACA) was passed, early retirees didn't have comparable access to medical coverage. Now that the Supreme Court has cleared the way for federal subsidies in all states for the ACA health exchanges, that difference has evaporated. It may take some time, but the 15 percent of employers offering coverage to early retirees but not Medicare-eligible retirees will likely be terminating their coverage to early retirees. The graph shows the decline of coverage for private sector employers. Public sector employers have a much higher percentage offering retiree coverage but their prevalence is beginning to decline also as states and cities begin to suffer similar financial constraints as the private sector. So, early retirees without employer coverage will be seeking medical coverage in the state exchanges. And, some retirees may be eligible for the federal subsidies that are available for citizens with income between 100 and 400 percent of the federal poverty level. With some financial planning, it may be possible to coordinate receipt of any pension payments they are eligible for as well as withdrawals from retirement savings in order to keep income under the 400 percent threshold ($47,080 for a single family household and $63,720 for a two person household in 2015) while the retiree is under age 65 (the Medicare eligibility age). For Medicare-eligible retirees, their main change will be the move to a 1960s form of insurance in Medicare where the coverage is divided between hospital coverage (Medicare Part A), professional services (Medicare Part B) and prescription drugs (Medicare Part D) as well as private supplemental insurance to fill in the gaps that Medicare does not pay. Or, retirees could enroll in a Medicare Advantage plan (Medicare Part C) instead of Parts A, B and D, where coverage is more similar to many of the employer options they may be familiar with. The decisions of which plan is best for any given person depends on a multitude of pros and cons for each program. Things to think about include whether they will live in the same location throughout the year or travel a lot (meaning any network based plan like most Medicare Advantage plans will likely not be a good choice), health status (many over-insure themselves in rich Medicare supplement plans however they should note that it is sometimes difficult to increase coverage if they become less healthy) and the prescription drugs they currently take (some prescriptions may not be covered by all plans). And, it's important to get coverage as many estimates show that a couple at age 65 will need about $250,000 to pay for their future medical costs. The ACA did make some changes to Medicare but most will not affect retirees for a few years. 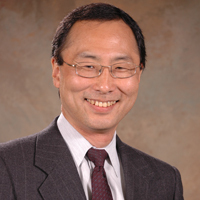 Dale Yamamoto is the author of Fundamentals of Retiree Group Benefits, 2nd ed. ACTEX 2015. Dale is also the founder and President of Red Quill Consulting, Inc. He has over 30 years of experience in providing employers with actuarial and strategic consulting to support their employee benefit programs.